Primare I21 review | What Hi-Fi? 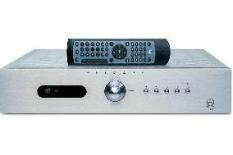 This is a beautifully built component, and makes a perfect visual partner for the matching CD21 CD player (£800). Winningly finished in moody titanium, it exudes solidity, understatement and classic good looks. Every switch feels painstakingly damped and the casework is substantial. Our affection for this machine's Award-winning big brother, the I30, meant we were very excited when it came to testing this amplifier. But this cheaper machine's somewhat laid-back sonic character was the cause of our slight disappointment. It was good in so many ways, but ultimately failed to be the talented all-rounder we hoped. Revisiting the I21, we again note its tendency to stroll instead of stride, and it also contains a treble that, with the wrong kit partners, can get a touch sharp. A good long run-in gets rid of a certain amount of unwanted crispness, but even so, avoid using with any kind of lazy-sounding speakers. Also choose a punchy and rhythmic source, rejecting anything that contains an excitable top end. Only then do you experience a thoroughly enjoyable listening sensation. Suitably matched, the Primare's treble only occasionally slips up, and the amplifier digs up impressive levels of detail, delivering decent (if not class-leading) dynamics and a truckload of good, solid bass when it's demanded. However, its most impressive talent is a huge soundstage: play Eric Whitacre's Cloudburst, and the amp presents the composer's choral works with grand scale and weight, yet retains impressive levels of composure when the piece gets demanding. Close your eyes and the relative positions of the choir are easy to locate within the stereo image. Switch to music that demands a firmer hand, though, and the I21 lacks the drive and excitement of the best amps at this price. Massive Attack's brooding tunes sound a little less menacing, and The White Stripes' raw edge is smoothed off, and wants for attitude. A beautifully built, stylish, and capable amp it might be, but its overall character might prove a little too polite for some.